In the middle of Nagano prefecture around the Japanese Alps is Matsumoto city. I stayed here for a night in late November 2018 and was able to see a little bit of it. Matsumoto resembles a ski town as it basically is just that. Nagano prefecture is famous for skiing - the 1998 Winter Olympics were held there - and Matsumoto is within an hour of some of these slopes. It’s no surprise that two of its sister cities are Salt Lake City, Utah, and Grindelwald, Switzerland. From Shinjuku station in Tokyo, the Limited Express Azusa and Super Azusa trains are probably the easiest way to get there. They depart from a regular JR platform, pass through areas like Koshu, Yamanashi - an area known for grapes and wine, and reaches Matsumoto in about 2.5 hours. If you sit on the left side, you can catch a few glimpses of the tip of Mt Fuji. One thing about Matsumoto that I noticed was that people are quite nice. Japanese in general are considered to be polite, but after living in the country for a while, you start to pick up on some differences. The people I came across in Matsumoto were pleasant and laid back, and it’s something I appreciated either when trying to order food or just buying something at the convenience store. The city’s most famous landmark is Matsumoto Castle. The castle topped our list of places to go. It’s about a 15-20 minute walk from Matsumoto station, so pretty central and convenient. Its black facade and distinct look makes it stand out from most other Japanese castles which usually have a lighter, white look. The castle, completed in the 16th century, is still in its original form and retains its original wooden structure. English-speaking volunteer guides are available near the entrance area, and the one that we guided us was happy to share all she knew about the castle and surrounding area. An interesting fact about the castle is that even though it was never attacked due to being backed by the powerful Tokugawa shogunate, it was almost torn down by choice. In an attempt to “modernize,” many of Japan’s castles and landmarks were being demolished or auctioned off. 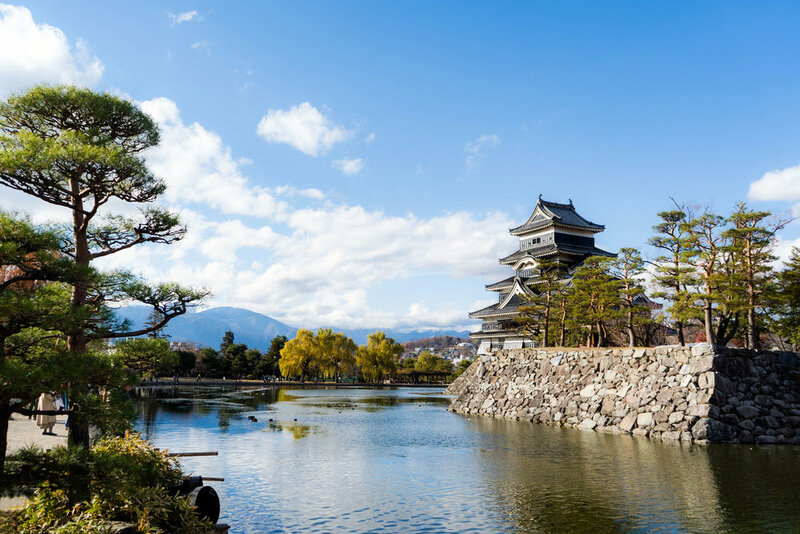 There were plans to tear down Matsumoto Castle and it would’ve been if not for the efforts of a couple who opposed this and took action. I find this interesting because this willingness to stray from their own culture because of a yearning for some things Western can still be seen today in Japan. But that’s another conversation. Even without taking a tour or learning about its history, Matsumoto Castle is worth visiting as it’s unique and just looks pretty badass, to be honest. After the castle, we caught a taxi to the Matsumoto City Museum of Art. One of Japan’s most well known artists, Yayoi Kusama, is from Matsumoto. Because of this, she has a permanent exhibit at the Matsumoto City Museum of Art, and the museum itself is decorated in her signature polka dot art. The museum itself isn’t big. There are special, temporary exhibits which cost an extra fee, but we went with the regular ticket and saw a couple of the permanent exhibits - Yayoi Kusama’s and a calligraphy one. No photography of the art is allowed, but it was interesting to see that Kusama’s art extended beyond her dotted works that she’s most famous for. Being that Nagano prefecture has no area bordering the oceans, seafood isn’t a specialty of theirs. 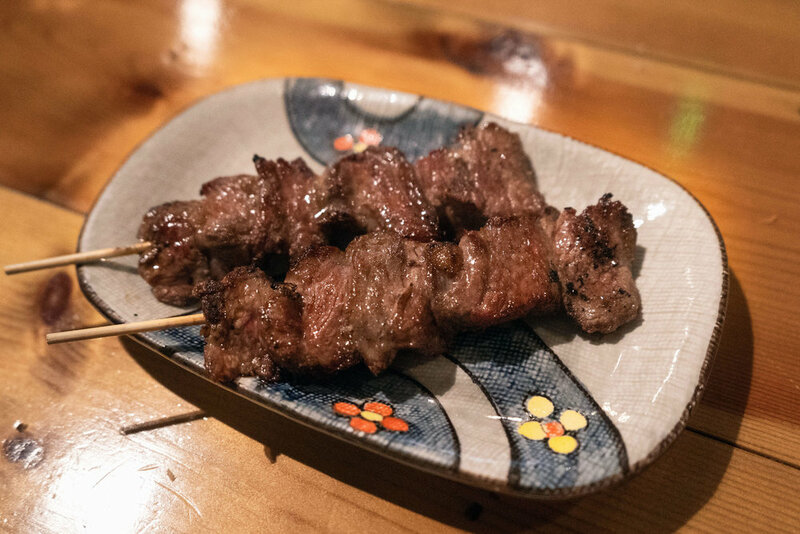 They have it, but local cuisine often centers around miso and meats like chicken and even horse. Traditionally, bugs were also eaten here, something I’d choose to pass on trying. I’ll leave with sharing some places that I think are worth eating at, but since I was only in Matsumoto for a day, feel free to leave a comment if you have any recommendations! 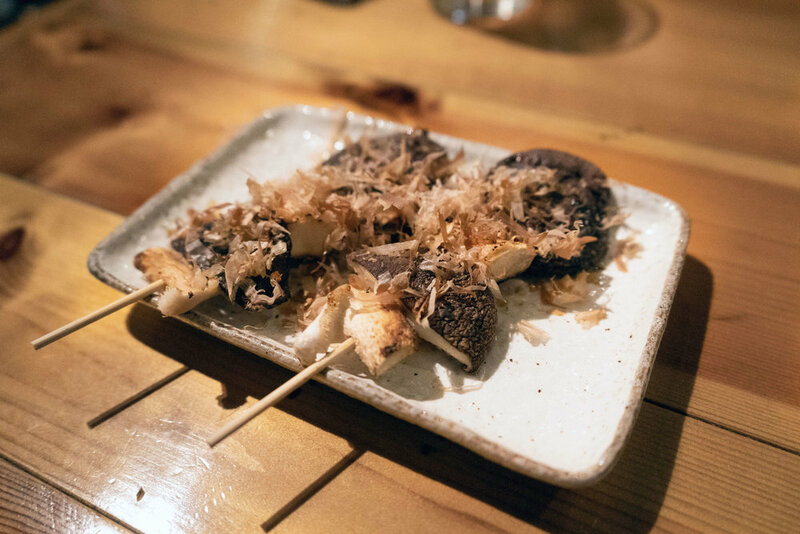 Simply delicious yakitori, some of the best I’ve had, to be honest. 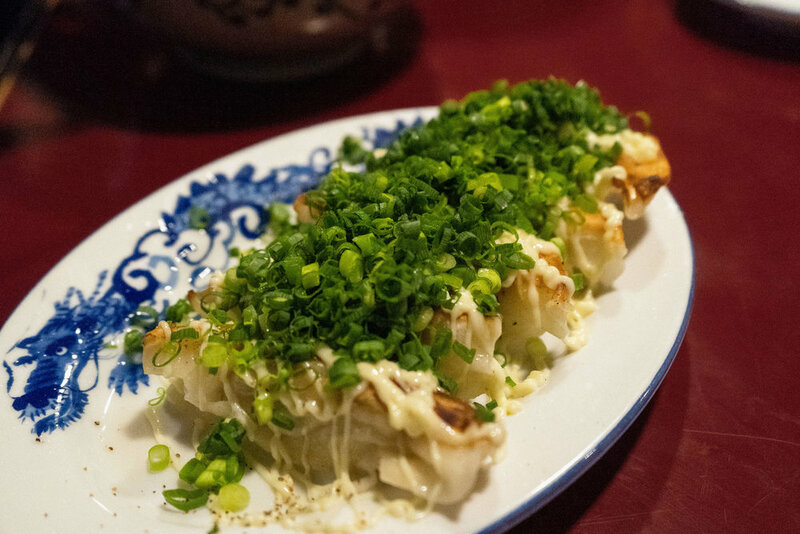 Kirakuya is a small, hole-in-the-wall spot with 3 tables and a counter with several seats. 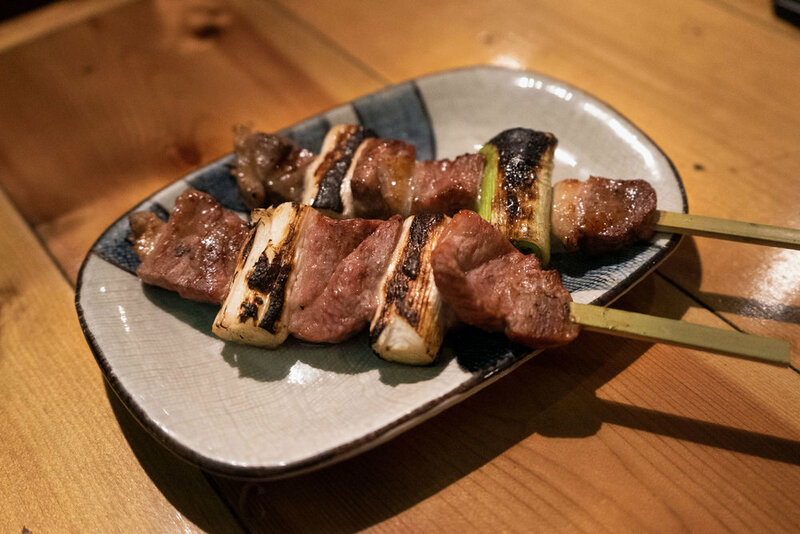 They have a good range of yakitori, all of which are fresh and grilled over charcoal. The highlight was their miso pork skewer (first pic) which was unbelievably tasty. Their ume-shiso chicken and venison were some other standouts. Definitely worth checking out. 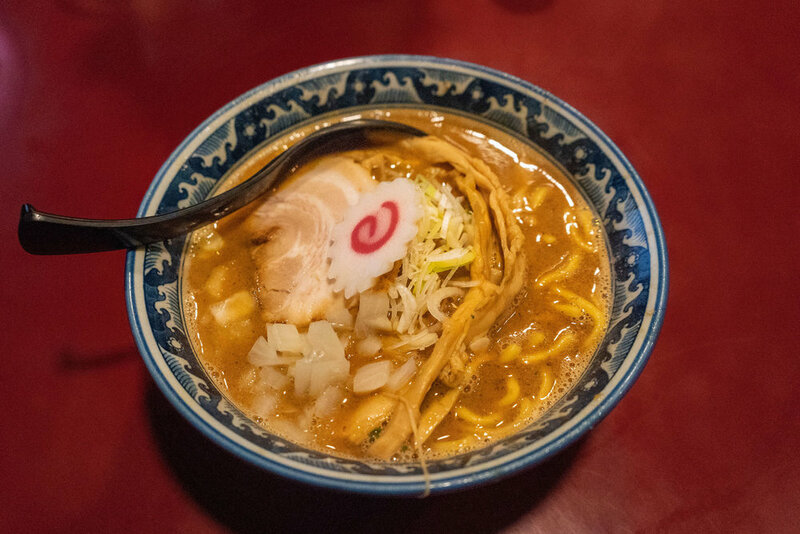 One of the more famous ramen spots in the city, featuring ramen in their local, miso style. Mensho Sakura is located in a converted, old, narrow warehouse, with an attic serving as the second floor. Each ramen was rich in flavor and their noodles were on the thicker side. I had a black kuro-miso ramen with black, garlic sauce added in. Yum. Craft beer and craft coffee in a shop that feels like a ski lodge. Hop Frog Cafe is run by a man and woman and is a short walk from the Matsumoto City Museum of Art. English is completely fine as the man is fluent, having went to college in Iowa. There’s a variety of coffee blends to choose from, and you can decide if you want it filtered to bring out more of the oils or not. Friendly place and a really nice find. A peaceful Hakone getaway at the Hoshino Resorts KAI Sengokuhara, a luxurious boutique ryokan with private onsen hot spings. Watching the first sunrise of the new year from atop a mountain in Japan. A detour stop in Nakano city, a rural district in Nagano prefecture with amazing apples. Snow monkeys and onsen hot springs in an old Japanese town in the mountains. A one-day trip to Matsumoto, a city in the Nagano prefecture near the Japanese Alps. A great night in Nikko at Hoshino Resorts KAI Kinugawa. A weekend trip to Nikko, one of the closest UNESCO World Heritage spots to Tokyo. A day trip to a big Buddha statue and some historical sights in the seaside neighborhood. A day trip to Koshu, Yamanashi, known for some of the best grapes in Japan. Here are my favorite authentic Hakata ramen spots after living in the area for five years. Must-see cherry blossom locations around Tokyo - popular spots, lesser known areas and one that’s only open for 3 hours. This upscale onsen resort getaway was fitting enough for a US President. Fukuoka city is Kyushu's biggest, and rated as amongst the best places to live in the world. I lived in one of Fukuoka's secret cherry blossom spots. A weekend at the famous onsen hot spring area, right outside of Tokyo. A little Europe-inspired town at the northern tip of Kyushu. A day trip to relax at a power spot. Delicious kurobuta pork at its capital in south Kyushu. A short getaway to Kyushu's famous onsen city. Spending a night in Oita's quaint little onsen town. Left out of itineraries a bit too often, Hiroshima is one of the more overlooked cities in Japan. Two trips to Sapporo for the Snow Festival and a little snowboarding trip to Niseko didn't disappoint. A couple of days to taste Nagoya, one of Japan's biggest cities and home to an iconic castle. Free wallpapers of Japan’s cherry blossoms - FREE TO USE!